This Saturday a few Interactors went to help the Rotarians work on the Wheelchair Project. Thanks to everybody that helped. We hope to be able to assist the Rotarians in the future with this project! 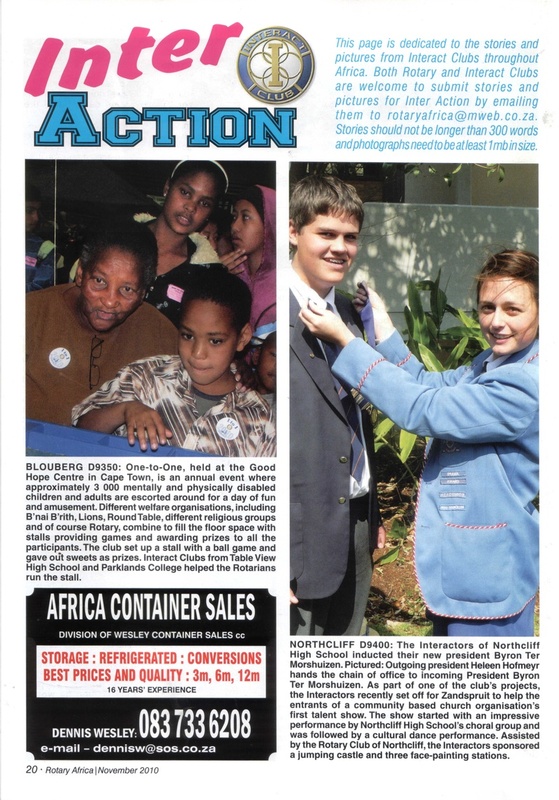 An article and a photo about Northcliff Interact in the latest Rotary Africa Magazine. Thank you to all those people who supported the Red Cross War Memorial Children's Hospital by either working or attending. It was wonderful to see such enthusiasm and dedication. There will be pictures coming soon. Thank you to everybody who contributed their time this weekend at Siyanqoba and at the Art Evening. Both events were really successful and enjoyable. Unfortunately their are no Art Evining pictures but their are many from Siyanqoba. Thank you to everybody that helped out at the talent show this weekend! The talent show went realy well and thank you also to all the singers from Northcliff High as well. The weekend was definitely very eventful. 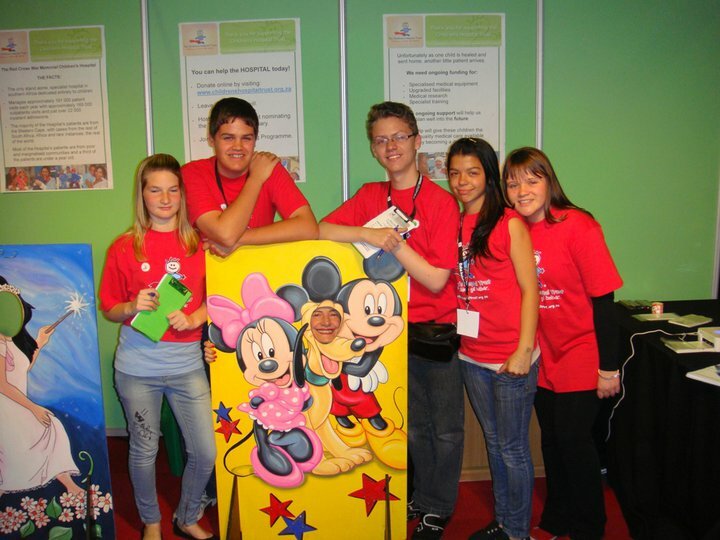 After the Firlands Fete on Saturday, nine of us rushed through to the Johannesburg Expo Centre in Narec to work for the Red Cross Children's War Memorial Hospital Trust at the Baba Indaba. 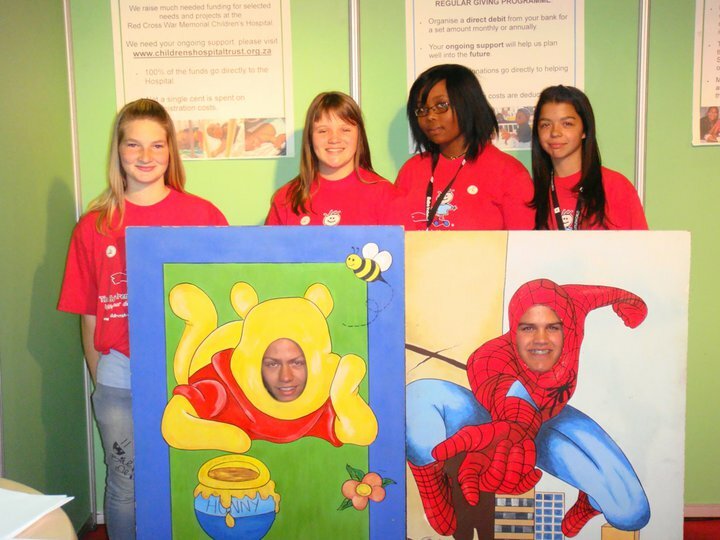 Our tasks included taking themed photographs of children and printing them there for their parents. The difficult task was to convince parents to pay R20 for such photographs and to get them to have a photograph in the first place. Most supported when they realised that it was for a good cause. On Sunday we had the honour of being visited by Mr and Mrs Dingemans. They took photographs and also supported some of the other stalls. Thank you for all the support! Thank you to everybody who spent their weekend supporting us and to all the people that worked. 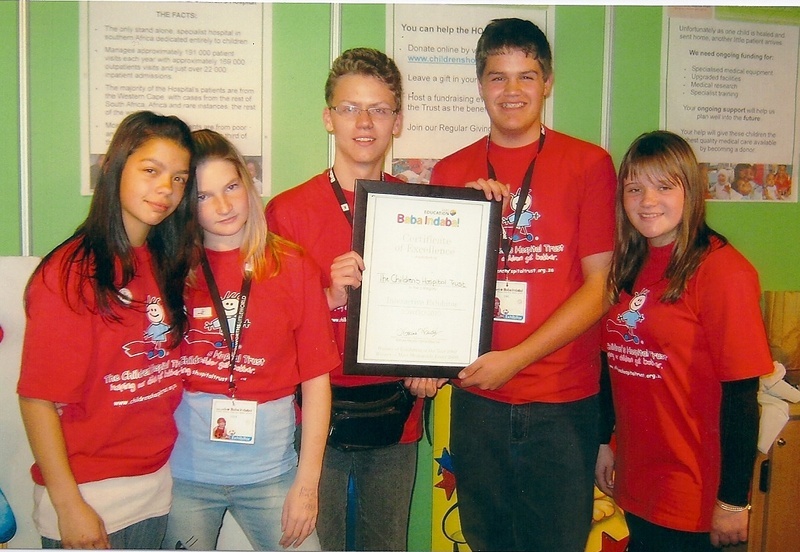 It is also wonderful to note that with us helping them, the Red Cross Children's War Memorial Hospital Trust received the award for Interactive Exhibitor (how ironic). Saturday was the annual Firlands Fete. At this fete people can buy anything from cakes to furniture to toys. 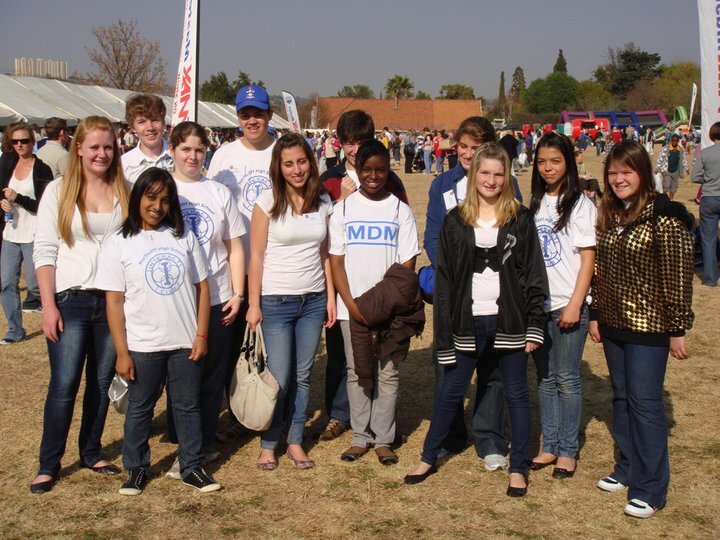 The Interact Club helps every year in one of the stalls, tidying up and being "security guards". This year we were given three stalls to hlp at and it was as wonderful as ever. Hundreds of people arrived early in the morning with money to spend and a healthy apetite for the goods that were on sale. Highlights of the day included the parachutists and the dog show. Thank you to everybody who helped this Saturday. It was a very successful day and it was wonderful to see so many people helping out. Thank you also to all the people who so generously donated cakes on Friday. We hope to receive may more cakes next year and see many more students and parents there next year.